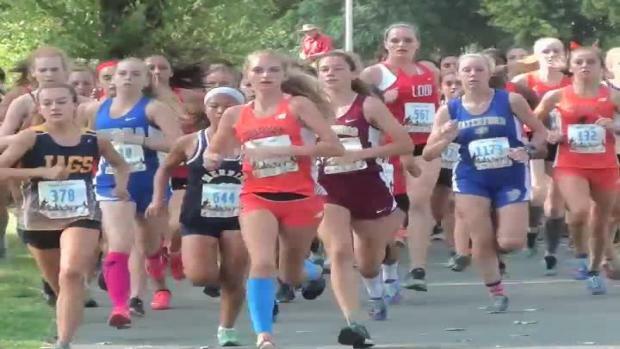 Cosumnes Oaks sophomore Natalie Harper runs away from the field to win the 5K race in 19:11.00. 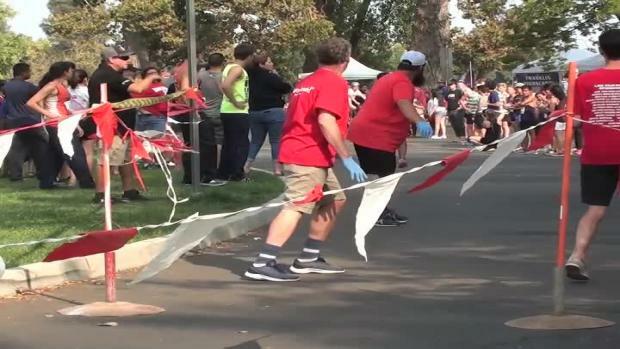 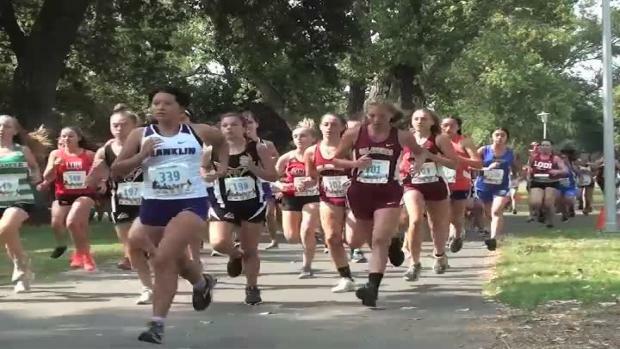 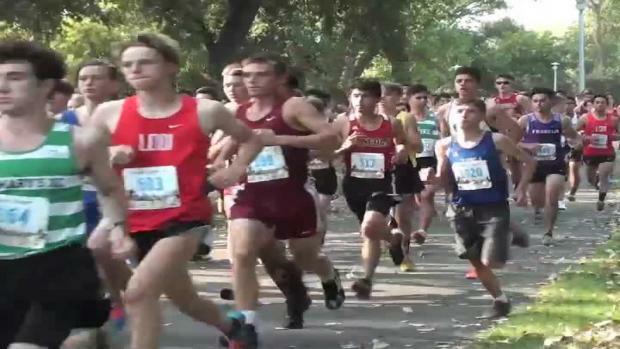 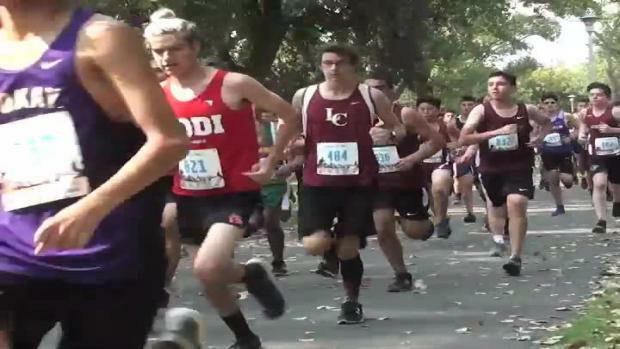 Lincoln senior Calvin Abbott holds off Chico senior Charlie Giannini and Franklin senior Jason Holland-Morrison to win the 5K Lodi Flame varsity boys race. 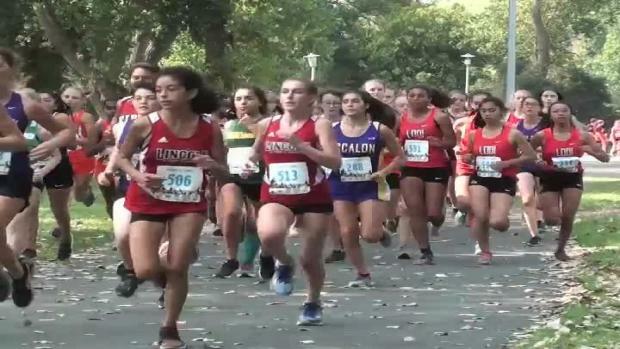 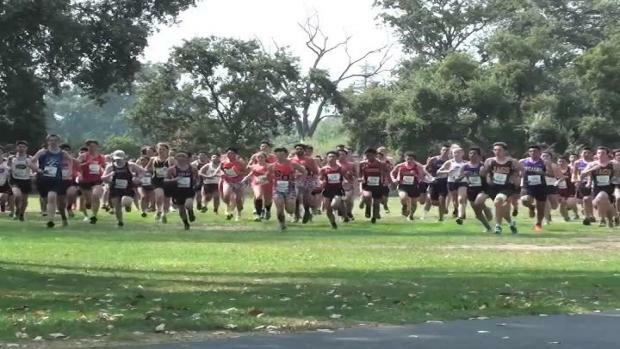 JV combined girls and boys two-mile race.